It seems like just yesterday we were waiting for Marc Webb's The Amazing Spider-Man to swing into theaters, and already its sequel is on the way. In the last few months we've heard some huge casting news, from the addition of Dane DeHaan as Harry Osborne and Shailene Woodleyas Mary Jane to Jamie Foxx as Electro and possibly Paul Giamatti as The Rhino. Now that the origin story is out of the way we're fascinated to see what kind of story the director will be spinning for part two. And it all begins today. Webb has announced on his Twitter account that production has officially started on The Amazing Spider-Man 2 and has posted a picture to mark the occasion. Posted with the message, "Day 1. 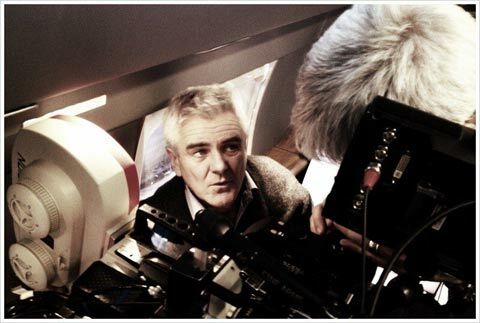 #anamorphic #film #philthecameraoperator," what's interesting about the photo is that the director appears to be using film instead of shooting digitally (like he did for the last movie), which means that he's not shooting in 3D here. What's his larger plan here? How will it affect the look of the sequel? See the image below. The Amazing Spider-Man 2 will bring back Andrew Garfield as the eponymous hero and Emma Stone as the lovely Gwen Stacy. Both Sally Field and Martin Sheen are expected back as Aunt May and Uncle Ben, and it's been rumored that Felictiy Jones is up for a part, but we don't know which one. Alex Kurtzman and Roberto Orci wrote the script for the film and Columbia Pictures will release it on May 2, 2014.